Hi loves! With the winter season often our hair, skin and nails suffer. I have teamed up with Julep to share some winter nail care tips. 1. Keep a small hand brush and scrub near your sink and use that to exfoliate 1-2 times a week. 2. Apply a heavy hand cream at night with the aid of steam to deeply penetrate your skin. I personally massage my lotion with the help of steam from my facial wand. 3. Always carry a nail file and nail clipper with you in case or snagged or broken nails to prevent jagged frayed nails. 4.Very important. Coconut oil! 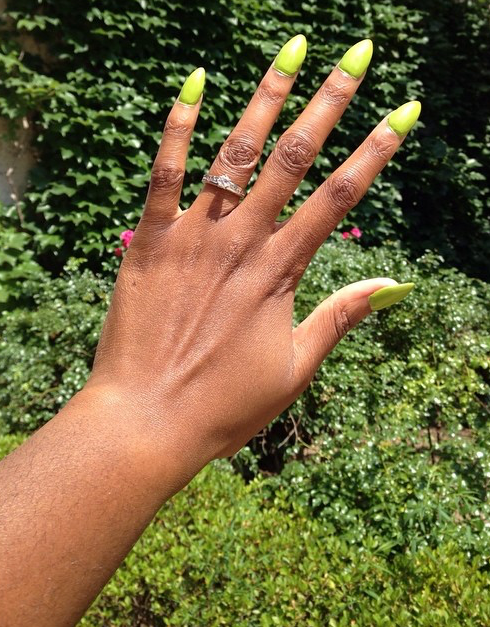 Massaging your nails with coconut oil will do wonders for your nails. It will aid in strengthening and growth. 5. Try a glitter manicure. It’s fun and festive for the holiday season AND minor chips are not so apparent. Also be sure to check out Julep’s trending winter colors.